#156. 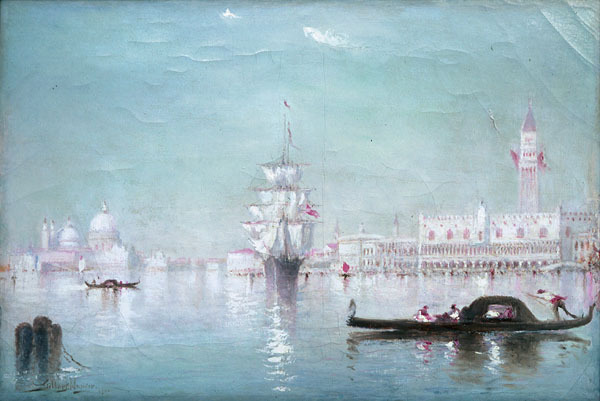 Grand Canal with Ship and Gondolas. 25 x 37, oil on canvas. "Gilbert Munger 1901" lower left. Descended from Roger Munger through the family to the current owner. Wrapped down on a slightly smaller than original stretcher. 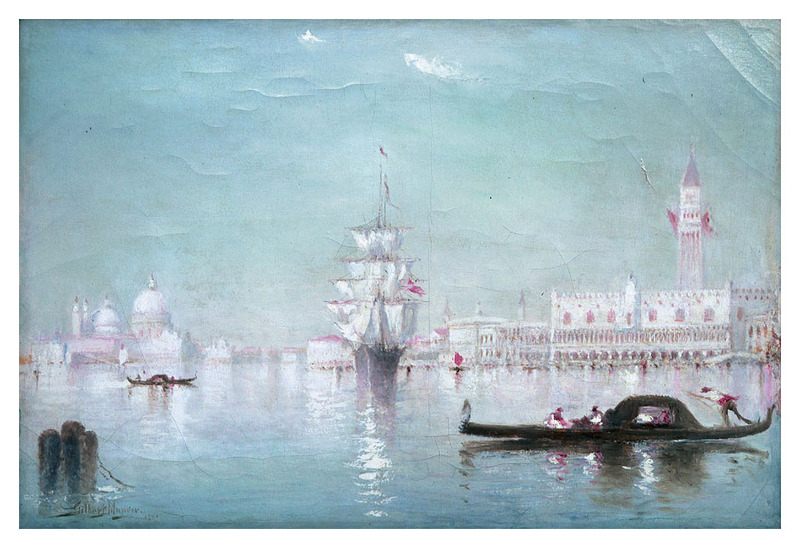 The 1901 date indicates that the painting was done well after Munger returned to America. Image from a photo provided by J. Gray Sweeney.